Secure Legacies, Not Just Listings. Deluxe Branded Marketing is your indispensable partner for real estate marketing. Our primary focus is to help our customers distribute the right message to the right audience, through the right media, and at the right time to get leads, close listings, and keep clients for life. We, like you, are passionate about what we do. We have been in the real estate space for over 25 years as a provider of marketing solutions. Our leaders and visionaries have industry experience that exceeds that. Moreover, Deluxe Corporation has over 100 years of providing solutions to small businesses across the country. We know you and your agents need highly effective and easy-to-use marketing tools that get and retain customers for life. We give you the solutions to do that and much more! We’ll employ the most sophisticated technology platforms that are designed to optimally perform for the people who make your enterprise go. We do it with flexible, hands-on, branded services that are supported by proven industry leaders. We are a company made up of individuals who, at their core, work to become your trusted partner. We are driven by our capability to exceed expectations in product quality, service and turnaround. We are excited by collaborative relationships where we can truly work together with our partners. We are ignited by creative ways to approach systems and solutions in both traditional and new territory. We aim to earn your confidence, knowing that we, as partners, share a name. The opportunity to explore where we align today, and tomorrow is exciting. We look forward to getting to know you. Show off your listings in the best light. Automatically create personalized marketing materials for your listings. Send personalized and memorable emails to your clients. Build and manage mailing lists in just a few short steps. Track and increase engagement with your prospects. Schedule your marketing and enjoy automated delivery all year. "I recently had the pleasure of working with Neil in your farming department. I received such exceptional customer service and thought that you should know about it. Neil is not only a true professional, but he is also creative, considerate, pleasant and extremely helpful (and his charming little accent is nice, too!). He is a true asset to your company and it was an extreme pleasure working with him. I look forward to having Neil assist me in the future and I hope you will take the time to acknowledge him as an excellent employee and for a job well done!" "I would like to commend Neil who by my good fortune was the person to receive my call last Friday afternoon when I was attempting to complete my order. I am not very tech-savvy and since my Internet Explorer browser upgraded to a newer/more impossible version...I have encountered nothing but problems and frustrations. So you can well imagine the stress caused by trying to order my glossy flyers for my new listing. Neil offered to 'crack open' my zip file of photographs received from my professional photographer, and not only accomplished that but completed the tasks on Saturday and Sunday which I find so very impressive. Neil's responsiveness as well as his warm, friendly & courteous manner is so much appreciated." 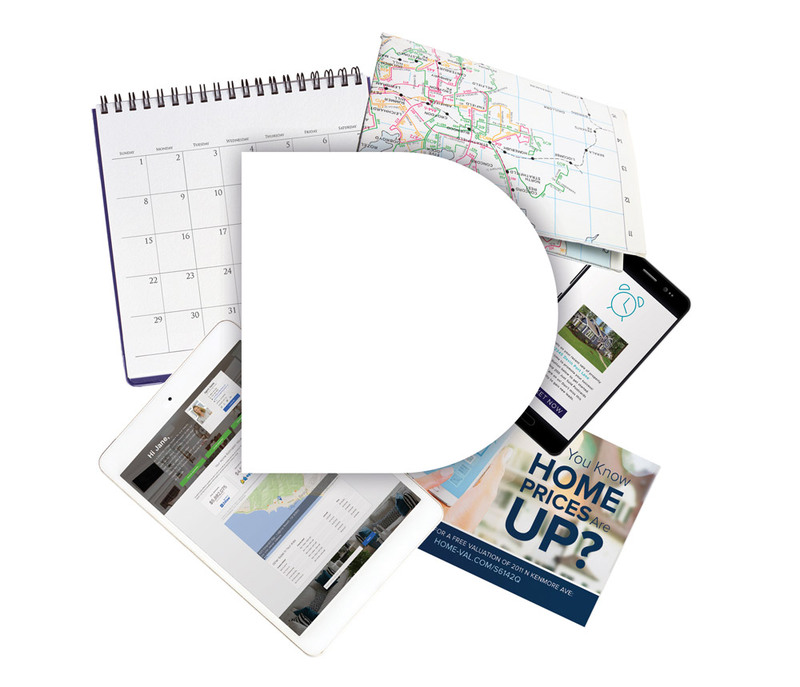 “Deluxe Branded Marketing has been an integral part of marketing my listings for more than 10 years. I have had great results with them to announce new listings. The staff at Deluxe Branded Marketing provides excellent support and service for mailing their postcards and for custom postcards. I highly recommend Deluxe Branded Marketing for an effective and professional marketing program." "I have worked with Deluxe Branded Marketing for many years, and the rapid response time, customer care, and attention to detail is always appreciated when I am creating marketing pieces. My clients are always very impressed with the high quality of the mailers and flyers that I use to market and sell their homes." "Thank you! Because of your very professional postcard and brochure program, I was able to sell this Saratoga 2 bedroom condo priced at $1,395,000 in just 17 days! I had a number of inquiries from the geo mailing. I can't wait to utilize the 'SOLD' cards!" "I would like to say that as an agent I never really believed in the power of the postcard mailings. It is now, while I am managing this office, that I see the results. I have numerous agents who can clearly link their listings back to their direct mail campaign. At our last office meeting, one of my agents told us all about a new listing that she has coming on the market next week. It is directly across the street from a property that she recently closed. I asked if this new listing was a result of her 'Just Listed/Just Sold' postcard and she told us that the majority of her listings could be traced back to her mailings. This agent sends postcards with every new listing and every time she closes a property. Clearly, her sales more than make up for her expenses!" Deluxe Branded Marketing works with some of the largest and most high-end real estate companies, as well as many successful small businesses. 2019© Deluxe Enterprise Operations. All Rights Reserved. Our team is always here to help provide solutions for all your needs. We are happy to be of service and will promptly answer any questions you may have.